Part of the Family. jimmy, hunitumia enjoys a meal with Naveen's parents. Wallpaper and background images in the Disney crossover club tagged: disney crossover. 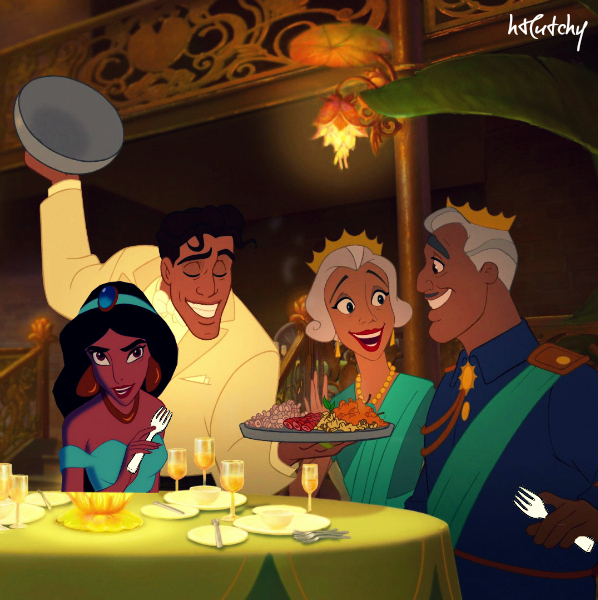 This Disney crossover photo might contain brasserie, chakula cha jioni meza, meza ya chakula, and bistro.